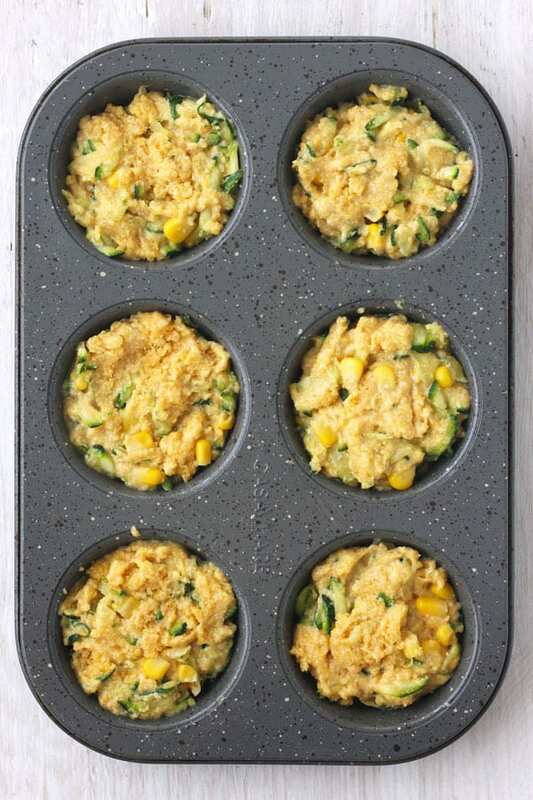 Cornbread Zucchini Muffins Small Batch Recipe - Make Just 6 Muffins! Cornbread Zucchini Muffins are incredibly moist and tender with an irresistible sweet corn flavor. Perfect for a quick breakfast, snack or dunking in a bowl of vegetarian chili. You may have noticed, we’ve got a thing for zucchini lately. First, there was this super quick and easy no-cook Southwestern Zucchini Noodle Bowl. Then, we used the toaster oven to broil snackable zucchini rounds and bake cheesy zucchini and lemon ricotta flatbreads. 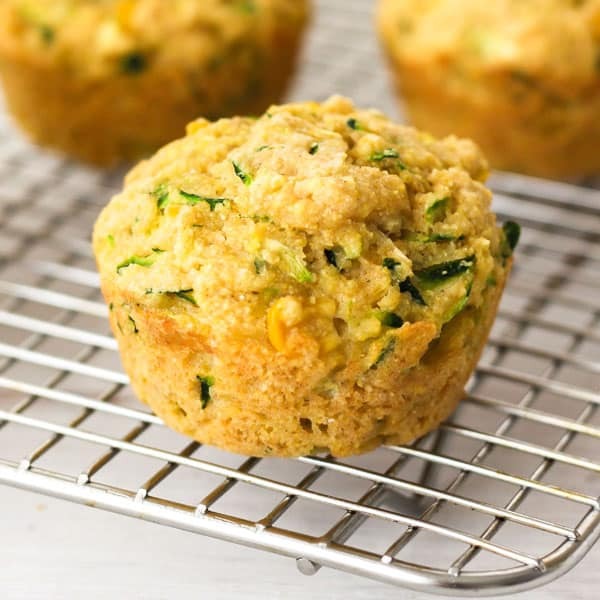 But the zucchini love doesn’t stop there because we’ve saved THE BEST zucchini recipe for last…Cornbread Zucchini Muffins! 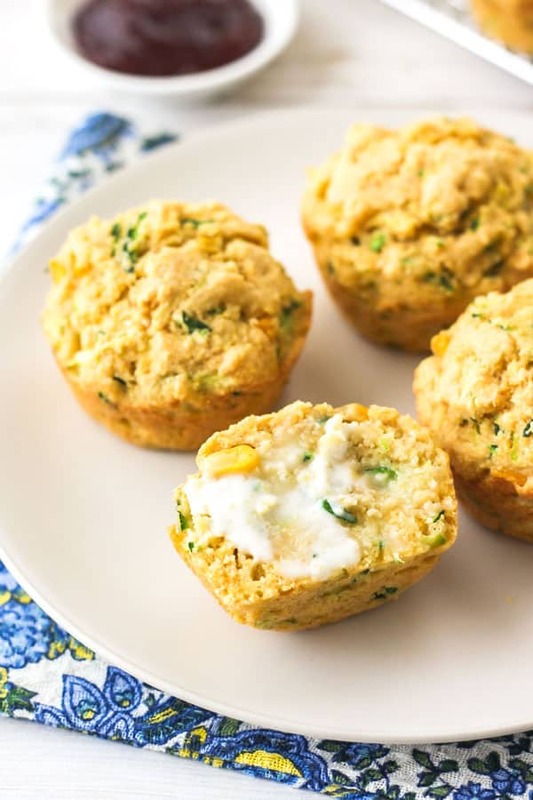 They’re everything you want in a good corn muffin: Lightly sweetened. Tender middles. Crispy edges. The gorgeous bright green shredded zucchini isn’t just for looks either. It (along with a little yogurt) make the muffins moist without being soggy. Though my favorite ingredient has to be the whole corn kernels. When you bite into one, there’s an unexpected crunch and then the kernel bursts delivering even more delicious sweet corn flavor. Best of all, the recipe couldn’t be easier. It uses simple pantry ingredients and just ONE BOWL! Tip #1: Squeezing the water out of your shredded zucchini is A MUST. Otherwise, you’ll end up with a mushy soggy mess. Tip #2: For the lightest and most tender muffins use a plain yogurt that has some fat in it. Tip #3: For a denser cornbread muffin, skip the yogurt. They’ll still be tender but with a heartier crumb. Tip #4: Don’t be worried if the batter is a little on the thick side. It’s okay, you’re making corn muffins, not cupcakes! Tip #5: The muffins won’t be browned when they are ready. Instead look for the tops to be springy and dry to the touch. A toothpick inserted in the center of one should come out clean or with a few crumbs attached. If you see wet batter, keep baking. Tip #6: After the first day, store leftover muffins in the fridge or freeze them for later. 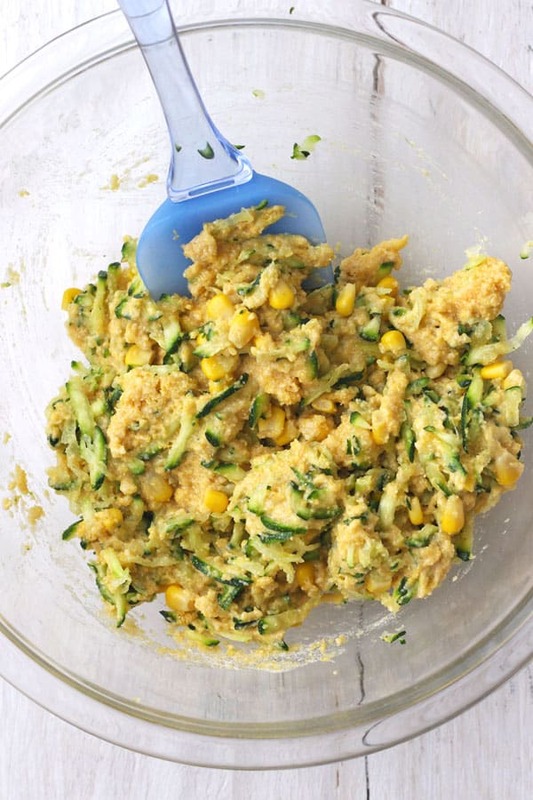 There’s no need for butter on these zucchini cornbread muffins. They’re tender and tasty served plain. But there’s no reason you can’t make your little muffin even more delicious with a smear of salted butter and strawberry preserves! Looking for more small-batch muffin inspiration? Check out these easy Vegan Chocolate Chip Muffins from Food With Feeling. They’re light, fluffy, and you can whip up a batch in less than 30 minutes! These decadent Small Batch Coffee Cake Muffins from Dessert For Two are high on my must-try list. Honestly, how can you go wrong with a cinnamon streusel topping? If you’re new to baking muffins in a toaster oven take a peek at Our Big Fat Toaster Oven Muffin Experiment. It’s got everything you need to know for baking full-sized and mini muffins in a toaster oven or countertop convection oven. 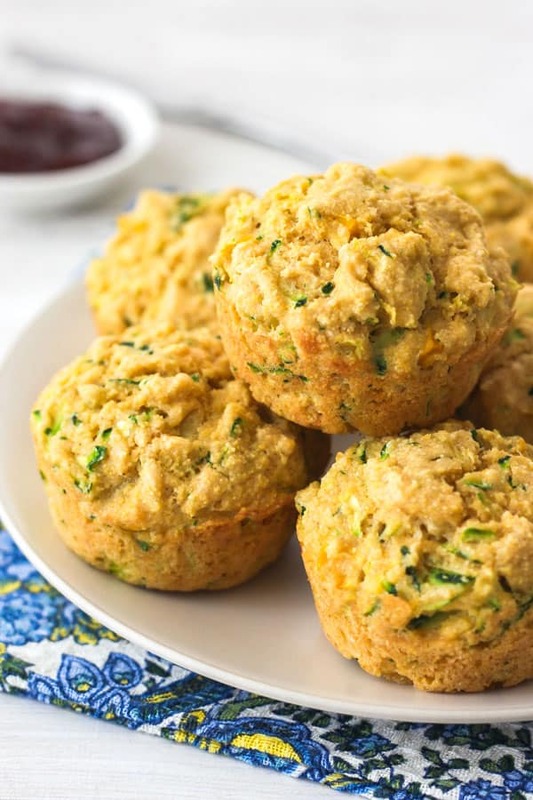 I would love to try this recipe for cornbread zucchini muffins. Since this is supposed to be a savory muffin, Is the sugar necessary? If you mean baking-wise, the sugar isn’t necessary. You can leave it out and the muffins will bake up fine though they might dry out faster as sugar adds moisture to baked goods. Flavorwise, it depends on your preference. I like a little sweetness in my corn muffins. It highlights the flavors of the other ingredients and is a nice balance to the salt. Without the sugar, you may find the muffins a bit bland and too salty. I’d recommend trying it with the sugar first. Also, we have made these successfully using a sugar-replacement called Swerve. If you’re trying to avoid regular sugar you might want to check it out. Thanks for stopping by and happy baking! those flecks of green are so appealing! 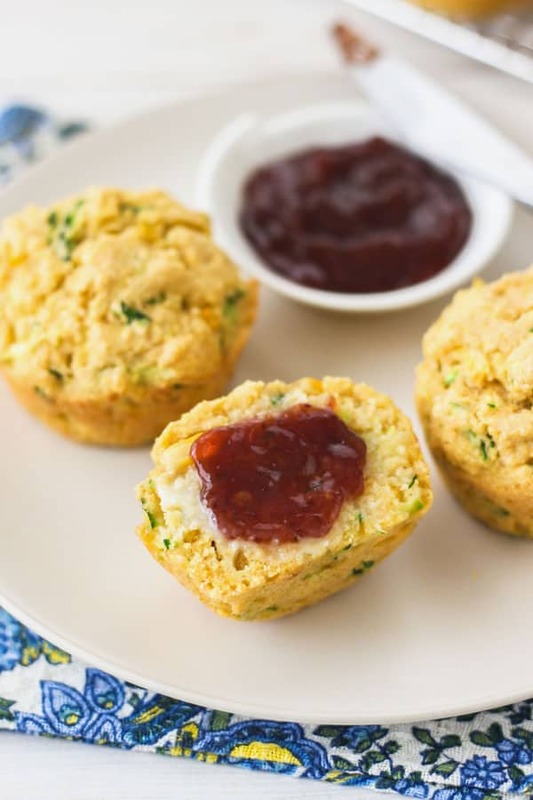 love this twist on cornbread.